About six months ago, I got an excited call from Jen, one of my original KKP Lifers (and even longer friend). She had a VISION she wanted to share with me. 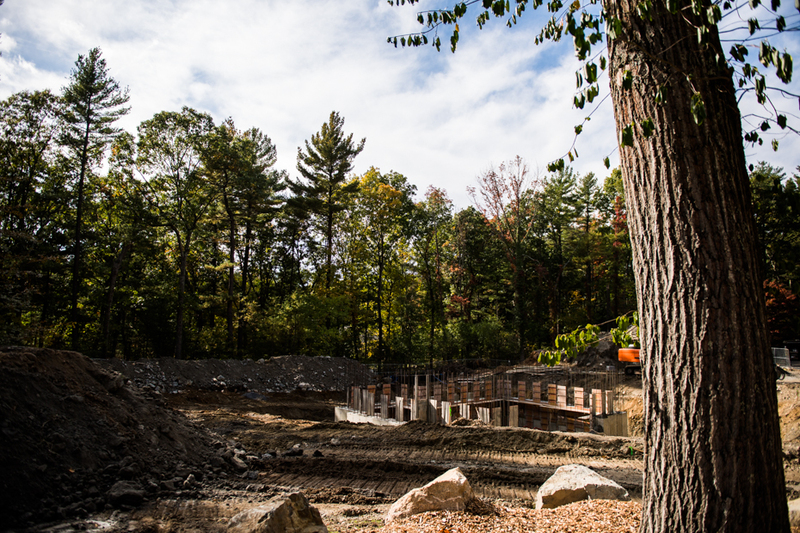 Her family, which includes three little boys, is in the process of building a house west of Boston. 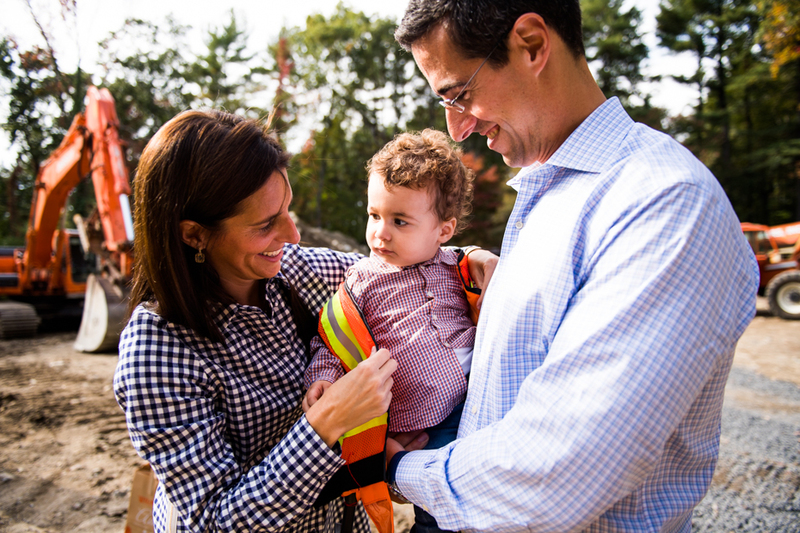 “WHAT IF…what if we brought the entire family to the construction site?? 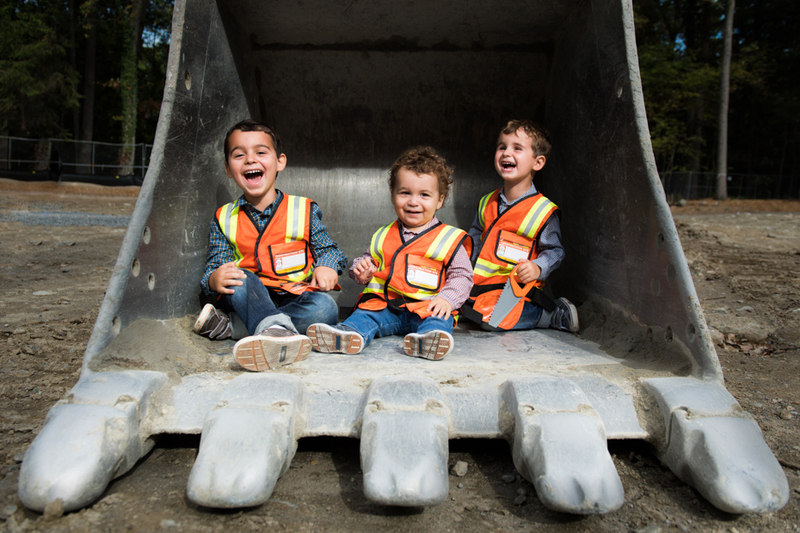 Put the boys in construction worker outfits, let them get up close with the bulldozers, and memorialized them being part of the foundation of our forever home. What do you think? ?” Well, aside from the fact that she described every boy under 5’s greatest fantasy, I thought this idea was brilliant. But her fantasy wasn’t done. “I have a vision for hanging these pictures in the new entranceway, as the kind of record that their children will grow up and look at, can you help me design that?” Of course, my answer was yes. That got my fantasy wheels turning too. Imaging one of these rambunctious little dudes, pointing at the photograph in 30 years with his first born on his lap. “You see this picture? This is me, with all of your uncles, before this house was built. This was grandma’s dream.” A time capsule of family history, preserved by my camera, dreamed up by mom. Because in the end, that’s what KKP is all about – making YOUR dreams come true. So dream wide and tall, there’s nothing we can’t accomplish together. Karen is a Boston-based photographer specializing in documenting and preserving family history. You can see more of her work online at www.kkpforlife.com, on Instagram or on Facebook. If you’d like to contact her directly, you can find her at karen@kkpforlife.com.